Another week another pattern. This one drove me a little crazy, possibly because I was trying to finish it last night while also battling a cold. Not a good combination. Needless to say I was convinced that the block would not work and that paper piecing Monday was a stupid idea and that my sewing machine was out to get me. I was of course wrong on all fronts. The pattern for this block can be found here block12celebration or at the Quilting on the Square site. It is another block that can be used to make a variety of very of different blocks, depending on how you interpret the pattern. Have some fun with it. I must admit I could not have done this block, with all the drama of last night, without my newest quilting tool. My wonderful friend Lisa bought me an amazing surgical unpicker. It is one of those tools you do not realise you need until you have used it. Now I can not imagine life without out it. It is a lethal wonder that is particularly great for paper piecing. Where standard tools struggle to deal with the close stitches you use when sewing a paper pattern, this little beauty just glides through them. 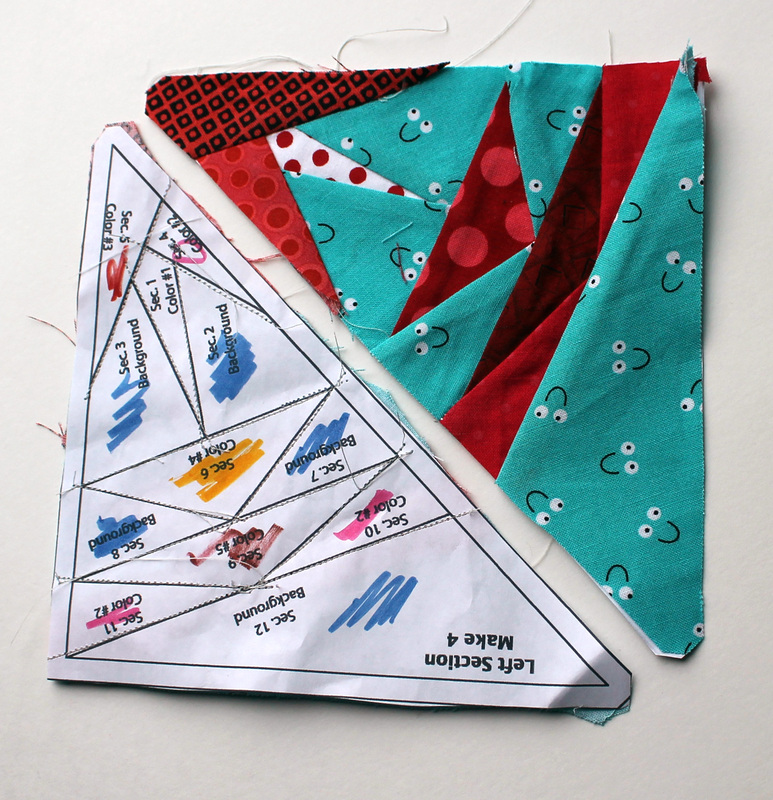 The only thing you have to be careful of is accidentally cutting your fabric – I have not done this yet but imagine it will happen! I am now off to cut some more fabric. I have decided the best way to deal with the fabric overflow is to make more quilts (and to shop less!). I love it!!! Hope you feel better soon. I’m so intimidated by paper piecing but this is beautiful! I love your fabrics. 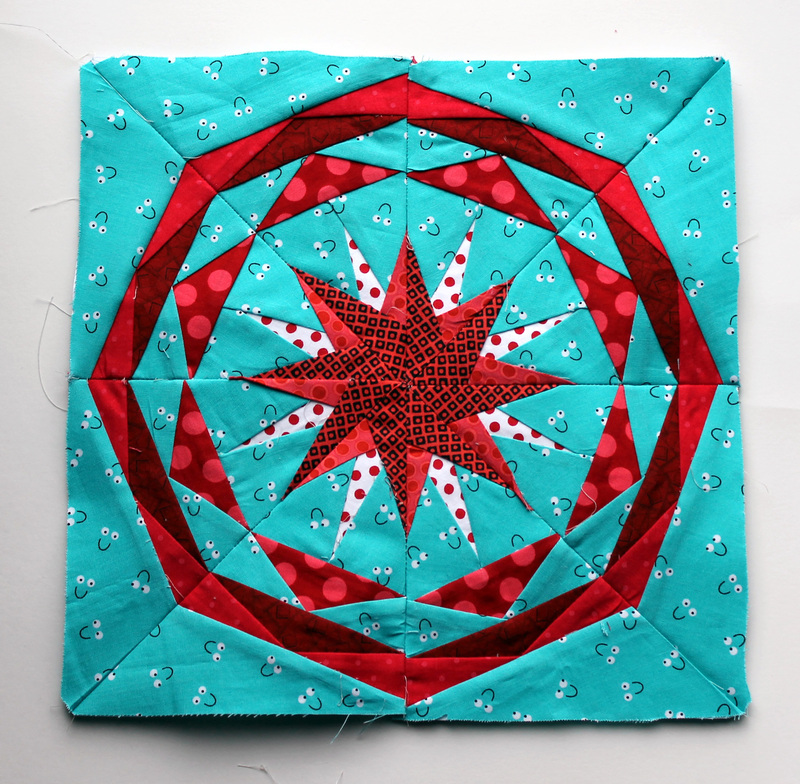 The block is gorgeous- love the little smiley faces on the aqua fabric. I could have WOWed all your blog posts!